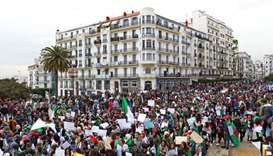 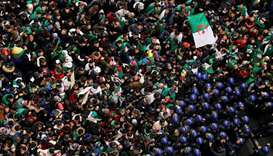 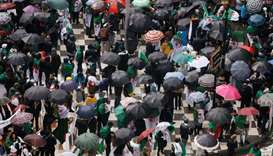 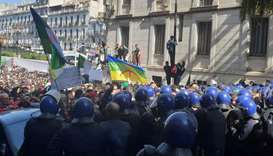 Huge crowds of protesters filled central Algiers for a ninth weekly mass rally Friday, galvanised by the departure of long-time president Abdelaziz Bouteflika but vowing to keep up their demands for sweeping reforms. 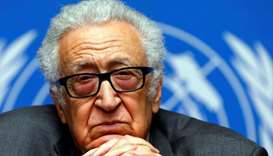 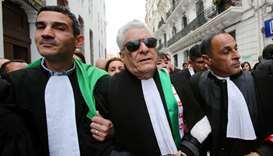 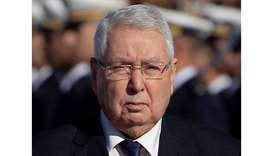 Algeria's parliament appointed on Tuesday its upper house chairman Abdelkader Bensalah as interim president following the resignation of Abdelaziz Bouteflika after weeks of mass protests against his rule. 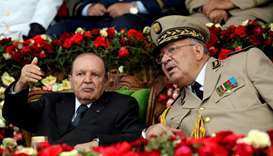 Algerian President Abdelaziz Bouteflika's decision to quit by April 28 "will change nothing" and demonstrations will continue, a protest leader said on Tuesday, indicating popular pressure for more far-reaching political change remains insistent. 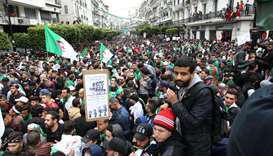 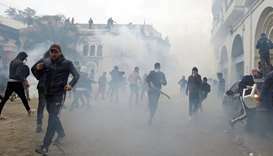 About one million people took to the streets of Algiers on Friday to demand the resignation of President Abdelaziz Bouteflika, police officers at the scene said, in the biggest demonstration since unrest erupted six weeks ago.